The 9000s was a varied fleet as far as powerplants. They also featured improvements over the 7000/8000 series. The engine vibrations from the Cummins L10 powerplant was greatly reduced. The brake pedal was softer and braked very well. They came with full sized driver's window. The steering wheel was smaller and the tilt/telescopic controls more user friendly. 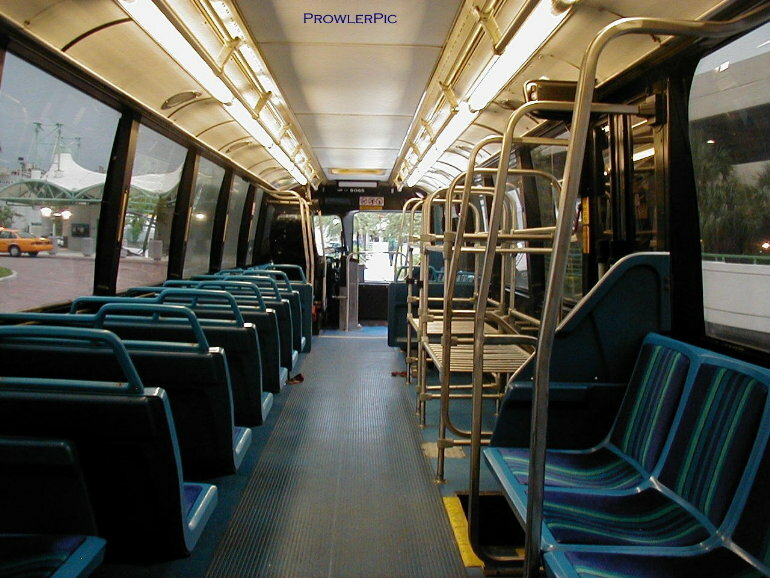 They were also the first accessible full sized buses purchased by the agency. The 94 bus order came with a variety of powertrain combinations. 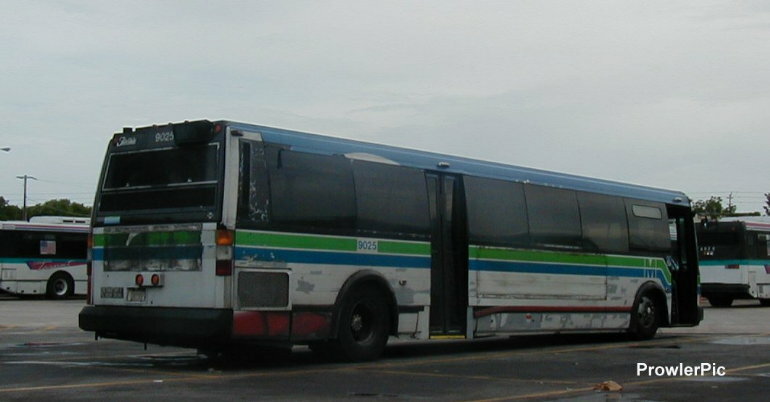 Buses 9001-9066 had the Cummins L10 mated to the Voith 863 like the 7000/8000 order. 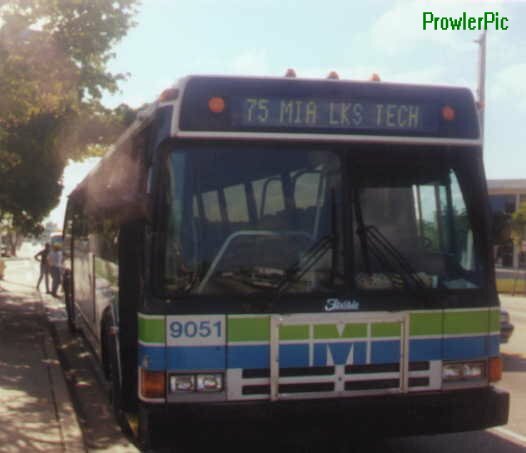 Buses 9067-9073 had the Detroit Diesel 6V92DDEC with the Voith 863. Buses 9074-9094 had the Cummins L10 with a ZF transmission. 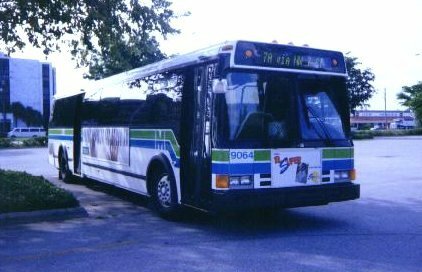 Buses 9064-9066 were the series VIPs and came equipped with PA systems. 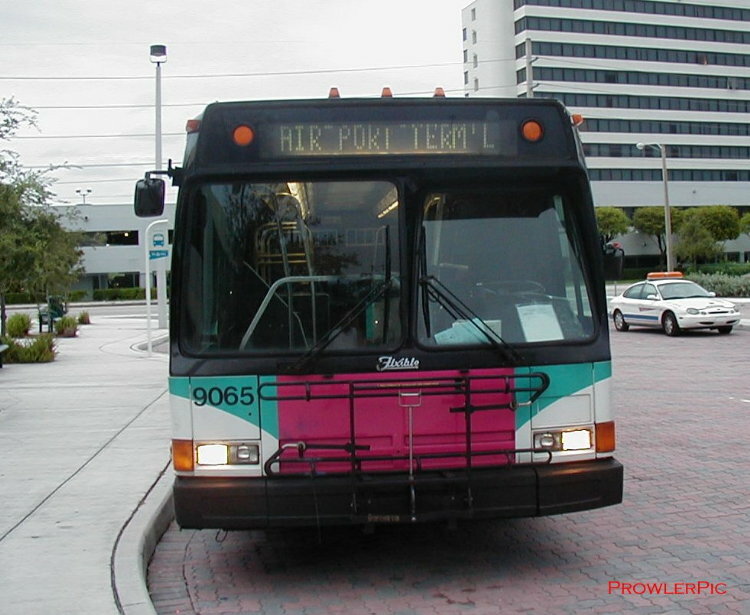 Bus 9065 had luggage racks installed inhouse and was used on Route 133 MIA to TriRail shuttle. Bus 9065 was eventually replaced with 2210 and it was returned "home" to CWD. It was one of the last 9000 series retired. Bus 9086 is presently running as one of the "Government on the Go" buses. Bus 9063 was the last to run on January 15th, 2004 out of Northeast Division.. Bus 9051 is still on the property as a possible "set aside" bus for the historic fleet. Bus 9028 in a fresh "magenta" livery. Bus 9064 at International Mall on the 7A and ZF powered 9078 at Central. Bus 9051 on the route 75. Bus 9051 still sits at Central. A sad looking 9025 at Central. One ugly bus! That's what unregulated advertising can do to a btransit coach. 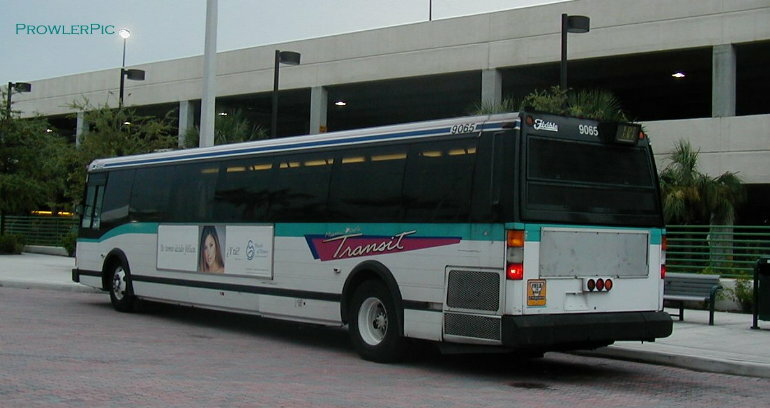 Bus 9065 at the Airport TriRail station. Interior shot of 9065 showing the luggage racks.